We’d love your help. 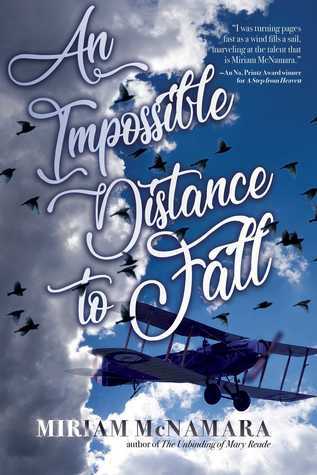 Let us know what’s wrong with this preview of An Impossible Distance to Fall by Miriam McNamara. A story about falling―falling from grace, falling in love―as well as soaring to heights you wouldn’t know were possible if you never stepped out into thin air. When Birdie sees a leaflet for a barnstorming circu A story about falling―falling from grace, falling in love―as well as soaring to heights you wouldn’t know were possible if you never stepped out into thin air. To ask other readers questions about An Impossible Distance to Fall, please sign up.